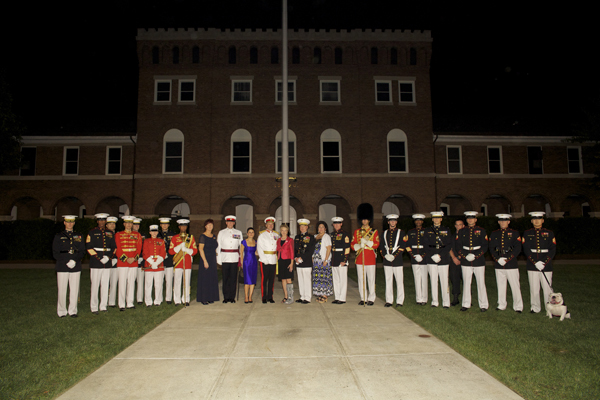 Marine Barracks Washington, known as "8th & I," is the oldest post in the Marine Corps and has been the residence of every Commandant since 1806. The site for the barracks, at the intersection of 8th St. and I St. in Washington, D.C., was chosen by President Thomas Jefferson and the second Commandant of the Marine Corps, Lt. Col. William Ward Burrows, after the two rode through the city looking for a suitable location. The intersection of 8th St. and I St. was chosen due to its proximity to the Washington Naval Yard and the fact that it was within easy marching distance of the Capitol building. Today, 8th & I is arranged much as it was in the early 1800s, and its buildings used in a similar manner. The Home of the Commandant, located at the north end of the barracks, was completed in 1806 and is the only original building still in use, with the rest of the barracks having been rebuilt between 1900 and 1907. The Home of the Commandant is the oldest public building in continuous use in Washington D.C.
Officers and recruits began training at 8th & I shortly after its completion, and continued to do so throughout the 19th century. Marines from 8th & I defended Washington D.C. from the British in the War of 1812, as well as serving in the Indian Wars from 1826-1837, the Mexican-American War, the Civil War, and the Spanish-American War. Most recently, Marines from 8th & I have served in Southwest Asia during Operations Desert Storm and Desert Shield. 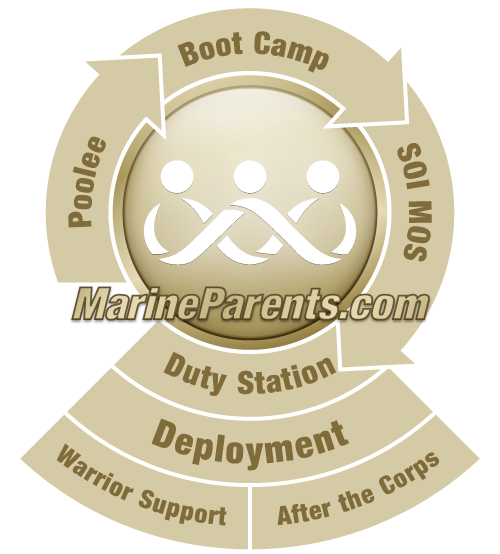 8th & I has also served as the home of the Marine Corps Band, founded in 1798, since 1801. On January 1, 1801, the band played President John Adams at the Executive Mansion, beginning a tradition that eventually led to the Marine Corps Band becoming known as "The President's Own." Decades later, from 1880-1892, John Philip Sousa served as the head of the Marine Band, during which time he wrote many of his timeless marches.